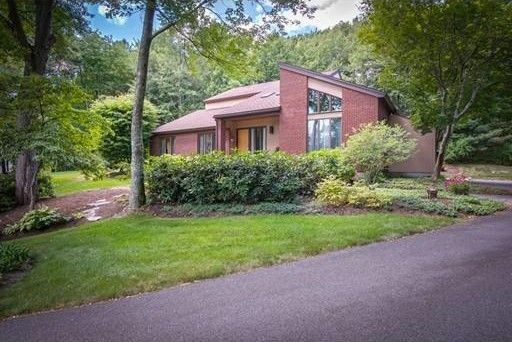 Distinct modern living in Doeskin Hill Estates. First time to market - Immaculate and well kept home that is privately sited just above the road. This property was designed to capture the sunlight and natural surroundings from most every room yet it's completely private. Open, spacious and clean lines are a few of the unique features that make this home different from the rest. The Eat in kitchen is located perfectly to flow both to family and dining room with access to a back mud room and pantry just off the garage. There are glass sliders from three separate rooms on the first floor which make going outdoors or onto the deck a breeze. Upstairs there are 4 ample size bedrooms with two large bathrooms that have skylights. The finished lower level has a billiard room, a dry sauna with full bath and a family / game room with a bar and access to a separate staircase up into the backyard. This property is a delight in a neighborhood with sidewalks and easy access to everything. Directions: Edmands Road to Carter Drive just in Doeskin Hill Estates.